Find out if the Hamax Caress in frame mount or rear mount styles is the best bike seat for your family in our 2019 review. 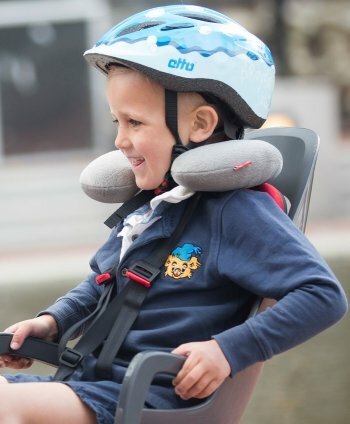 The Hamax Caress is a rear-attached child bike seat produced by a company in Norway that specializes in bike and snow sledding accessories. It comes in both rack mount or frame mount styles. This child bike seat has a lot of nice features for a reasonable price. Considering how easy to use and sturdy it is, many parents feel like it’s a great investment. The award-winning Scandinavian seat can fit on a wide variety of bikes. The instructions are clear and easy to follow. You can keep the mounting bracket attached for easier removal of the seat when you don’t need it. 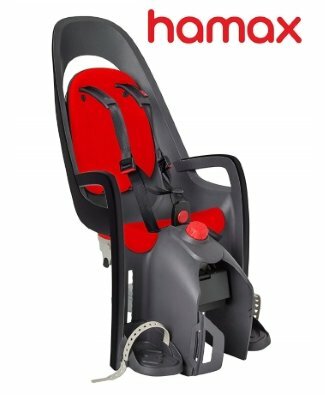 What are the child size limits of the Hamax Caress? This seat is designed for kids 9 months old to 48.5 pounds. Kids of many ages have been able to ride in this seat, all the way from < 1 yr to 6 yrs. The most common age range parents mentioned was 13 months to 3 years old. How safe is the Hamax Caress? Most parents agreed that the buckles and other adjustments were child-proof and kept their young toddlers secured. What many people liked was that the adjustments can be made one-handed so they can keep the other hand on the bike itself for stability. There were several parents who reported that their children fell asleep easily in the seat while riding. A few, however, thought the seat, even when reclined, didn’t support their heads enough and suggested buying a separate neck pillow to use with it. A few parents felt the seat wobbled too much, which made them feel off-balance when taking turns. Some noted the lack of padding in the seat and felt their child’s helmet vibrated against the hard plastic too much when they fell asleep. There’s also no front handlebar, so kids have nothing to grasp while riding. However, the design keeps little fingers and toes out of the way of wheels and other moving parts. How easy is the Hamax Caress to install and use? Overall, parents felt this seat was very easy to install and needed no special tools except for an Allen wrench that comes with it. When the mounting arms are properly inserted into the brackets, you’ll hear a click and see two green safety tabs so you’ll know it’s secure. There are several measurements you’ll need to pay attention to while installing, but these are clear in the manual. For instance, to get proper balancing, the seat should be no more than 10 cm from the rear axle. However, this proved challenging with some bikes (such as a Specialized Ariel hybrid and Priority). The bike saddle may get in the way, so you may have to either move the saddle forward or up, depending on bike design. This may prevent the seat from reclining, however, so keep that in mind. The really nice thing is that Hamax reportedly has very responsive customer service. So if you run into any installation issues, they may be able to ship you one of four different styles of mounting bar. And if it doesn’t work with your bike at all, returns are simple with no fuss. While some parents struggled a little to learn how to adjust the height of the footrests and the recline dial, most agreed they worked fine with a little practice. Fitting the harness over a child’s bike helmet proved to be a little difficult, but not impossible for some parents. 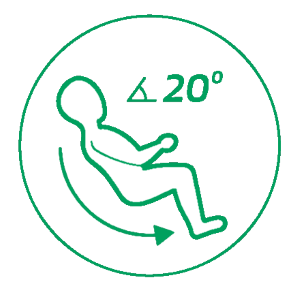 Depending on your bike and how the seat is balanced, a heavier child may cause the seat to rub against the rear tire when going over bumps. This is an exceptional bike seat at a reasonable price. It’s simple, yet sturdy and loaded with great safety features. 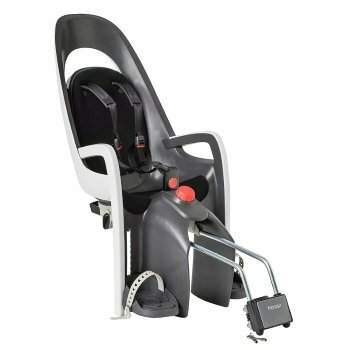 Ease of use and installation are one of the main reasons parents love this seat. It also works on many types of bikes, even though you may have to buy a separate mounting bracket for a proper fit. If you’ve been considering which bike seat to try, this one would be a good first option for you. If you need to return it, it shouldn’t be a hassle, since customer service is top notch.